Our multi-disciplinary team applies their expertise from a range of complimentary fields in the arts and architecture to further the goals and scope of MADWORKSHOP. With decades of collective experience, our team shares an insatiable commitment to the design process, from conception to fabrication, and beyond. Our Advisory Board plays a crucial role in shaping the trajectory of MADWORKSHOP. Comprised of pioneers and luminaries from the fields of publishing, product design, robotics, and more, our board members keep the foundation focused in its objectives and offer invaluable insight to our Fellows and Staff. 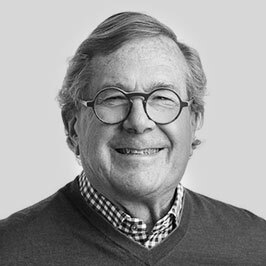 David C. Martin, FAIA, a third-generation architect, continues his family’s legacy of major involvement in the architectural planning and civic life of Southern California. Martin received his Bachelors of Architecture from the University of Southern California (USC) and his Masters of Architecture from Colombia University. Upon completion of his formal studies, Martin spent four months on a Traveling Fellowship researching the great urban spaces of the world. David was Design Principal for AC Martin Partners, a 110-year old architecture firm founded by his grandfather and noted for its historic and contemporary landmark projects. During his tenure with AC Martin, David transformed neighborhoods, academic institutions, and cities. Martin’s final project was the 80-story high-rise hotel and office complex in the heart of Downtown –the new Wilshire Grand Tower. 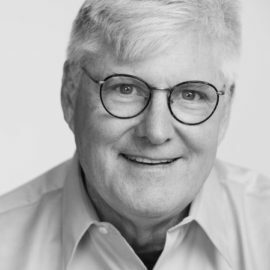 Martin is a member of the Dean’s Advisory Council at USC, a past President of the Southern California Chapter of the AIA, and a former Board Member of the AIA California Council. He is currently on the Boards of the Los Angeles Conservancy, USC School of Architecture and the Art Center: College of Design in Pasadena. Martin is an award-winning designer that has been recognized for his innovative, inspirational, and cutting-edge projects. David, along with his business partner and cousin Christopher C. Martin, FAIA, have received the American Institute of Architecture (AIA), Los Angeles Chapter’s Gold Medal of Honor, for their major contribution to the built environment in the City of Los Angeles. David’s drawings and watercolors have been exhibited throughout the U.S., including “On Site: Travel Sketches by Architects” at Hunter College, “line.dot – Drawing the Design Process at the Martin Design Studio” at UCLA, and “Form Follows Software: A Revolution in the Architectural Process” at USC, University of Arizona, and Cal Poly San Luis Obispo. He is also the author of JoyRide, which chronicles his travels through Mexico. Currently, David along with his wife, Mary Klaus Martin, have established MADWORKSHOP, a foundation that endows innovative designers with the opportunity to freely explore their ideas from inspiration to reality. Mary Klaus Martin was appointed by Mayor Richard Riordan to the Cultural Heritage Commission for the City of Los Angeles in 2000; she served seven years and three mayors, half of those as president. In 2008, The American Institute of Architects presented her with the “Good Government Award” honoring her commitment to preserve and protect the city’s cultural and historic landmarks. Under her Commission’s watch, the city’s Historic Core underwent a major revitalization. She attended school in Switzerland and earned her Bachelor and Masters in Education and French at the University of Southern California. A two-time All-American triathlete, Mary qualified for TEAM USA, representing the United States and placed third at the Inaugural World Champion Triathlon in Avignon, France. 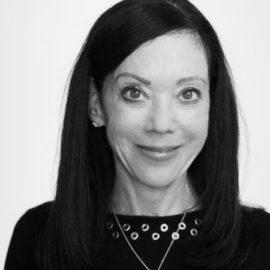 After serving as a Docent for the Los Angeles County Museum of Art (LACMA), she became a Charter Founder for the Museum of Contemporary Art (MOCA) where she recently (2015) was elected as trustee to its board. She works in support of the Music Center, and The Colleagues, the LA Public Library. Mary founded the Los Angeles apparel company Mary Martin for Rainbow of California and was named “Outstanding Woman of the Year.” Mary along with her husband, have established MADWORKSHOP, a foundation that endows the next generation of inventors with the opportunity to freely explore their ideas from inspiration to reality. Sofia Borges is a practicing writer, designer, curator, and educator. Sofia has an extensive background in architecture, urbanism, and the arts. She studied photography at the California Institute of the Arts and completed her Bachelors in Urban Studies at the New School University. Informed by her diverse upbringing that extended from LA to Latin America and beyond, Sofia relocated to Berlin after completing her Master of Architecture degree at UCLA. During her time in Europe, she founded the interdisciplinary design practice Affect Studio and became the architecture editor at Gestalten. Sofia has authored and edited nearly two dozen titles on architecture and design. Her most notable books to date include The Tale of Tomorrow, Rock the Shack, Hide and Seek, The Sky’s the Limit, the LA edition of the CITIx60 travel guide series, and Give Me Shelter. Sofia returned to her home town of Los Angeles in 2014, joining the faculty at the USC School of Architecture and launching Colorblock Studio. In Fall of 2016, she joined MADWORKSHOP as their new acting director. In partnership with MADWORKSHOP, Sofia spearheaded the USC School of Architecture’s first ever advanced topics design studio on the homeless crisis in Los Angeles. The culminating project, Homes for Hope, won the Fast Company 2017 World Changing Ideas Award. 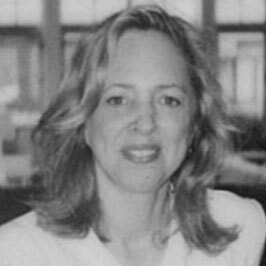 Edie Cohen joined the staff of Interior Design Magazine as an associate editor, was later named senior editor, and was most recently promoted to deputy editor. In 1994, she relocated to Los Angeles to establish the magazine’s first West Coast editorial office. Cohen is an industry leader who is frequently asked to be a guest speaker and a judge for design competitions here and abroad. She is the author of the book ‘West Coast Rooms’ and the co-author, along with Sherman Emery, of ‘Dining By Design’. 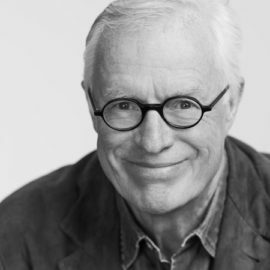 Regarded as one of our most acclaimed industrial designers, Swedish-born Carl Gustav Magnusson has left his indelible mark on a wide range of products, including those for Teknion, Knoll, and MoMA. After groundbreaking work with Ray and Charles Eames in Venice, CA, and opening his first studio in the 1960s, Carl forged a career of over three decades with Knoll, serving as Director of Design in Europe and North America. His designs remain best-sellers to this day, including his computer monitor arm system (MAST) for Teknion and MoMA’s classic IVY umbrella, co-designed with his wife Emanuela Frattini. During his Knoll tenure, Carl also initiated the Knoll Design Symposium at Cranbrook Academy of the Arts in Bloomfield Hills and co-founded the Knoll Museum in East Greenville, PA—considered the most comprehensive collection of archival items assembled by any single furniture manufacturer. A sought-after lecturer and competition judge, Carl’s guiding philosophy is that “innovation is a unique combination of existing ideas”. Since its inception in 2005, his firm CGM Designs has won 28 awards for designs ranging from furniture and textiles to race cars and a humanitarian project known as the micra-ambulance that can navigate narrow passageways in congested streets. 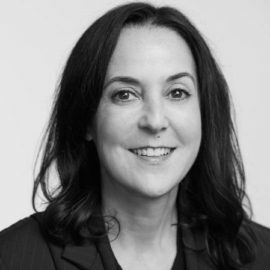 As the new Provost of ArtCenter College of Design, Karen is instrumental in introducing new design research processes, curriculum and vision-casting projects with numerous sponsors including Microsoft, HTC, Nike, Vodafone, HP and Nestle. 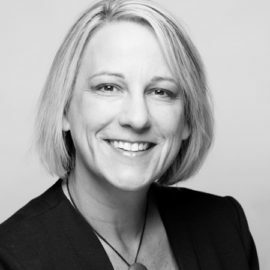 She created the strategy for CMTEL in partnership with the former Nokia design leadership team and continues to develop unique educational programs around material exploration and trend monitoring as well as launching the new “Wearables + Soft Goods” concentration in the product design program. Karen developed and launched the innovative project model DesignStorms® (3-day creative immersions with Art Center faculty and students) collaborating with partners such as Adidas, Volkswagen, Disney and Eastman Innovation Lab exploring future market opportunities and emerging technologies. Karen co-leads the innovative study abroad program with INSEAD International Business School and a co-creator of ArtCenter’s executive education programming focusing on design-driven workshops and creative leadership seminars. With degrees in psychology and product design, Karen’s expertise is in design research, strategy and insights. 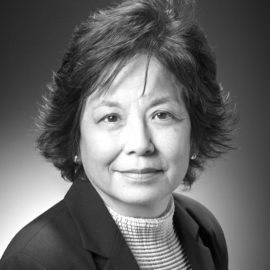 She spent several years at Johnson Controls Automotive Systems Group in Advanced Design and Research and for the last decade has been teaching and consulting. Sharon S. Takeda is senior curator and head of the Costume and Textiles department at the Los Angeles County Museum of Art (LACMA). She joined the curatorial staff in 1987 after receiving her undergraduate and graduate degrees from the University of California, Los Angeles and concluding two years of postgraduate work in Japan under the auspices of the Japanese Ministry of Education. Her exhibitions at LACMA include Reigning Men: Fashion in Menswear, 1715-2015 (LACMA 2016, Saint Louis Art Museum 2017, Powerhouse Museum, Sydney 2018); African Textiles and Adornment: Selections from the Marcel and Zaira Mis Collection (2015); Kimono for a Modern Age (2014); RODARTE: Fra Angelico Collection (2011); African Inspiration: Kuba Textiles and European Modernism (2010-2012); Fashioning Fashion: European Dress in Detail, 1700-1915 (LACMA 2010-2011, Deutsches Historisches Museum Berlin 2012, Les Arts Décoratifs Paris 2012-2013); Five Centuries of Indonesian Textiles: Selections from the Mary Hunt Kahlenberg Collection (2008-2009); Breaking the Mode: Contemporary Fashion from the Permanent Collection (2006-2007, Palazzo Strozzi, Florence 2007-2008); Miracles and Mischief: Noh and Kyōgen Theater in Japan (2002); Japonism in Fashion: The Influence of Japan on Western Dress (1998); The Fabric of Life: Japanese Folk Textiles (1995); and When Art Became Fashion: Kosode in Edo-Period Japan (1992-1993), which was awarded the American Association of Museums’ Fifth Annual Curators’ Committee Exhibit Competition. The Costume Society of America awarded the Richard Martin Award for Excellence in the Exhibition of Costume to Reigning Men and to Miracles and Mischief. Two of Takeda’s exhibition catalogues won the Millia Davenport Publication Award from the Costume Society of America. Additional publications include Japanese Fishermen’s Coats from Awaji Island for the UCLA Fowler Museum, contributions to Edo: Art in Japan 1615-1868 for the National Gallery of Art in Washington D.C., The Dictionary of Art, Encyclopedia of Contemporary Japan, and numerous articles in American, Japanese, and Spanish journals and magazines. Takeda currently serves on the Directing Council of the Centre International d’Etude des Textiles Anciens (CIETA), an organization for professional textile historians based in Lyon, France. R. Scott Mitchell is owner/principal of Gigante AG, a Los Angeles design-build and fabrication-consulting firm. He has worked for Gehry Partners, Morphosis, Bestor Architecture and Atelier Van Lieshout (Rotterdam). Early in his career, he worked as both a laboratory machinist and engineering fabricator. His work has appeared in Art News, ArtForum, Paper Magazine, and the 826National publication ‘Essentially Odd’. Scott has exhibited at High Desert Test Sites, Vox Populi Gallery, and Socrates Sculpture Park, where he was a Socrates Emerging Artist Fellow in 2006. Since 2007 he has been teaching digital fabrication and design at the USC School of Architecture. He is currently on the advisory board of 826LA, a children’s educational non-profit. Barbara Heizer began her work in publishing as managing editor of the literary and art journal Grand Street, coordinating the repositioning of the acclaimed publication. Heizer later served as features director of Harper’s Bazaar, producing stories that showcased collaborations between major artists and the publication, as well as overseeing coverage on art, books, film, architecture, and celebrities. 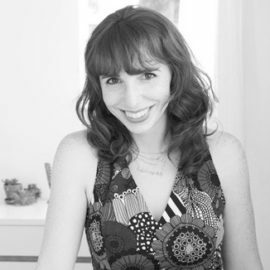 As executive editor of ONE: Design Matters, she participated in the development of the cross-media venture featuring the world of design. Heizer co-designed the Govino ‘go anywhere’ flute, which received a Good Design award from the Chicago Athenaeum: Museum of Architecture and Design, and an International Design Excellence Award from the Industrial Designers Society of America, As a director of Govino, she led multiple areas in the company connected to the launch of the brand worldwide. Heizer is a contributor to many publications, including Vogue and Departures. She co-edited “Michael Heizer: Sculpture in Reverse,” published by the Museum of Contemporary Art, Los Angeles. She was a director at the Leo Castelli Gallery. She is currently a member of the Library Council of The Museum of Modern Art. Acting as Financial Officer and Advisor to MADWORKSHOP, Jerry has been in finance for the past 40 years. He received both his bachelors and masters degrees from UCLA in Business Administration and started working with Price Waterhouse immediately after graduating as an auditor. After completing the mandatory two years of practical financial experience, Jerry passed the exam and received his certification as a CPA in the State of California. In 1975 Jerry left Price Waterhouse and moved to Del Rey Capital where he continues to practice. Del Rey Capital is a privately held financial firm that manages and invests the assets of one family. His main role has been as general business manager with an emphasis on banking relationships and financing, taxes, and cash management. 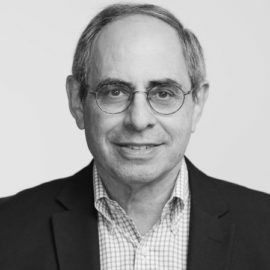 During his tenure, Jerry has been involved in various industries including: hotels, aircraft fastener manufacturers and distributors, the garment business, and real estate management, to name a few. Gail Larkin has been a long time curator of style and a fashion tastemaker. Gail moved to France after completing her studies at the Fashion Institute of Design and Merchandising in San Francisco. She successfully launched several interior design and lifestyle stores in the French Basque Country. 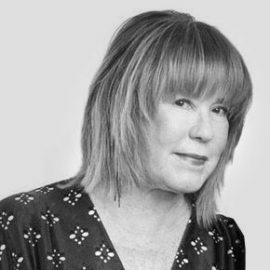 Gail then sold her stores and moved back to the US where she became the Buyer for Fred Segal’s Santa Monica location and then a personal shopper at Barneys NY. Gail went on to launch a unique styling company called VIP Closet Consultants. Her clients included some of the most fashion forward women in Los Angeles in addition to numerous entertainment entities. Gail has been profiled in C Magazine, the Los Angeles Times, and Angeleno Magazine for her personalized approach to fashion. Gail eventually moved on from fashion and worked closely with the Founder of Boxfli, a unique retail concept, to launch and operate the store’s flagship location. Gail’s passion for entrepreneurship has led her to her most recent endeavor, designing vintage pillows through her Lark Design brand. Gail is currently an Estate Manager for Cielo and manages the Martin Project. John Uniack is Program Coordinator of MADWORKSHOP. He brings to the position over 40 years of experience in architecture, industrial design, and the visual arts. Early in his career, John was involved in the design and fabrication of prototypes for Pacific Bell, Max Factor and Marantz Electronics. John studied at Art Center College of Design and went on to serve as owner and principal of UNIACK, a commercial photography studio. After ten years as a photographer and business owner, he returned to college to study architecture. 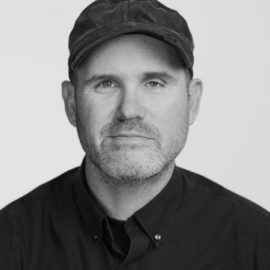 Upon receipt of his Bachelor of Architecture degree from the USC School of Architecture, John joined the firm of A. C. Martin Partners, where he contributed as a planner and urban designer for eighteen years prior to joining MADWORKSHOP. John also teaches a very popular furniture design course at the USC School of Architecture. 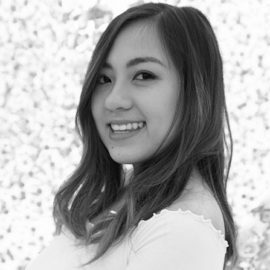 Lillian Nguyen is currently attending her second year pursuing a BARCH at USC School of Architecture. She was born and raised in Honolulu, Hawaii and graduated from Punahou School. Although she is currently a full time student she also devotes a significant amount of her time managing her online store called, BonjourLily. During her sophomore year of high school she founded BonjourLily accessories on Etsy, specializing in handmade headbands and jewelry. BonjourLily has been featured in Seventeen Magazine and worn by Ariana Grande and fashion bloggers.